Janice J. Ramel (Doornek), age 76 years, of Kewaskum was called home to be with the Lord on February 5, 2019 at Froedtert St. Joseph’s Hospital in West Bend. 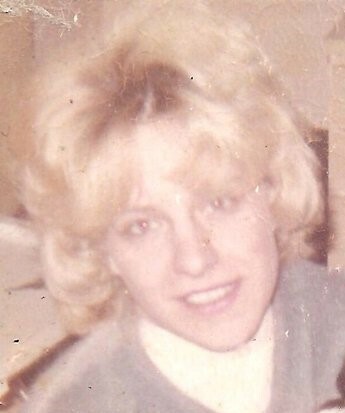 Janice was born on June 30, 1942 in Milwaukee to Jerome and Marcia Doornek (Kern). She was united in marriage on November 27, 1965 to the late Gerald E. Ramel. Janice was a Mail Clerk at B.C. Ziegler. She was a member at St. Paul’s Ev. Lutheran Church in West Bend. Janice loved to travel the area going to rummage sales. Those Janice leaves behind to cherish her memory include her 3 children, Michael Ramel, Timothy Ramel and Jennifer Kraemer; 2 step-children, Matthew (Irma) Ramel and Jeannie (Ray) Hiracheta; 3 grandchildren, Brooke, Brianna and Ciara; 6 step-grandchildren, Matthew Jr., Yasha, Shema, Malachi, Amy and Reymond, 2 great-grandchildren, Harper and Scarlett. Further survived by her brother, Michael (Faye) Doornek; step-great-grandchildren, nieces, nephews, other relatives and friends. In addition to her parents and husband, Gerald; Janice was preceded in death by her son, Nick Fuchs; 3 brothers and 1 sister. Funeral Service for Janice will be held at 3 pm on Monday, February 11, 2019 at St. Paul’s Ev. Lutheran Church – Cedar Lake (4115 German Village Rd. – West Bend WI 53095) with Pastor Paul Reede officiating. Janice’s family will greet relatives and friends at Church on Monday from 1 pm until the time of service. Janice’s family extends their heartfelt appreciation to the staff at Froedtert St. Joseph’s Hospital for the loving care they provided. The Myrhum Patten Miller & Kietzer Funeral Home of Kewaskum has been entrusted with Janice’s arrangements. Additional information and guest book may be found at www.myrhum-patten.com.